If you’ve ever felt like you were not connecting with your doctor, guess what? You have the RIGHT to find a doctor who best suits YOU and YOUR needs! Join us for the launch of the Patient Advocacy Series, Fertility Edition, with a women’s health advocate who has found the right doctor through listening to her gut! I’m so excited to be back today with the launch of our first brave soul who is so courageous to share her patient advocacy story with us. Lovely lady G as well call her, a wonderful woman I met online via the Bumps to Baby private Facebook community, reached out to let the community know she was really struggling with her physician. She’d been through the ropes and was determined to find a doctor who would actually LISTEN to her, something very rare sometimes when it comes to fertility treatments. And guess what, she did, and she’s about to see her treatment take a turn for the best because she listened to her gut! Now, please join me in welcoming Greta to the Bumps to Baby Community today! Tell us about your current journey. 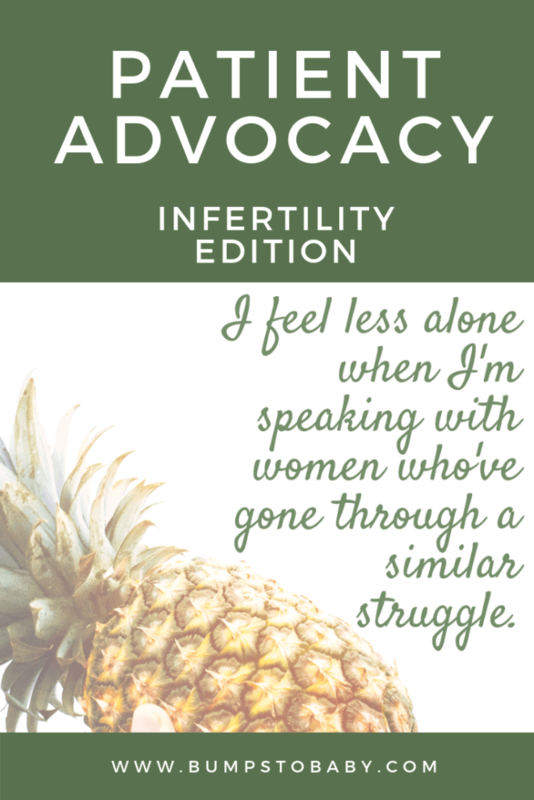 How are you advocating for yourself in your fertility treatment? There’s no question that IVF (and other ART treatments) play havoc on your body – you’re pumped full of hormones, you’re sore from injections, you’re having a whole array of unpleasant side effects that you can physically stock take. But for me, the most exhausting part of this treatment is psychological. Wrapping my mind around the idea that I have no control over my reproductive abilities was incredibly difficult, and it made me lose confidence that I had the ability to know what’s best for me. I mean, how could I, I couldn’t even get my body to perform (what is widely considered) a basic function of the female body (pregnancy)? So, I put my trust in my doctor. And even when I knew I wasn’t being treated correctly, even when I knew that my doctor was not the right fit, I still stayed with him because I had lost faith in my ability to trust my instincts. For two years, every time we’d meet to discuss another failed transfer, another chemical pregnancy, another emergency hospital visit, I was treated with disdain, waved away with a general ‘you don’t need to worry about that’ (turns out, I did), or given a vague answer like ‘it’s bad luck’ with no effort to quantify possible areas of issue. I didn’t expect a hug, but I did expect my doctor to behave like he was on my team. I did expect a level of empathy, and kindness. I did expect that a 30 minute consult would be just that, and I wouldn’t be ushered out the door after 5 minutes and patronizingly told ‘don’t worry about it’. I did expect my nurse to provide me with correct medication instructions. I did expect that I would be provided with correct information and advice regarding my available embryos, so as to not waste a cycle by transferring a damaged one. But instead, it was like I was at the DMV, being begrudgingly served by a bored, careless employee who just didn’t want to be there. I wasted 2 years being meek – I should have been out of there after 6 months. I’m a big believer that 90% of the time, we should trust our doctors. They’re the experts – they’ve got 10+ plus years of studying the human body and its behaviors. But, they are not infallible. And there are some doctors out there who, for whatever reason, do not (or maybe cannot) give you the level of care you deserve. So, this is my advice – give your REI a chance or two. But, that’s it. IVF takes time, so I don’t think chopping and changing doctors after a single cycle is appropriate (unless, of course, there’s been gross misconduct). A failed cycle doesn’t automatically mean it’s your doctor’s fault – it takes a while to get medication right, and sadly, the reality is not everyone who does IVF will leave with a baby. 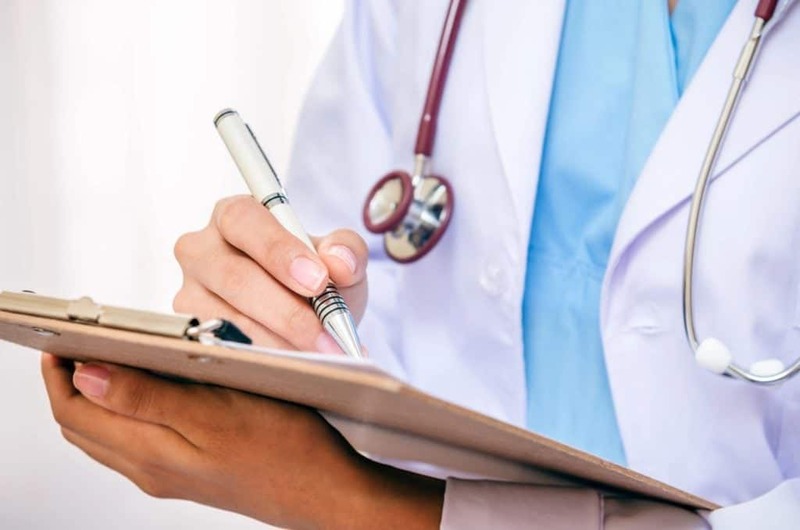 Give your doctor a chance to prove themselves, and if you don’t feel comfortable that you’re getting what you need, discuss it with them and give them an opportunity to remedy the situation or explain their methods. And if they don’t/can’t, find a doctor who can. I’ve recently left my original REI, and transferred to a different doctor in the same clinic. And, after only one 40 minute meeting, the experience has been completely different. My new REI had clearly studied my chart prior to the meeting (something my last doctor never did) and pointed out that there have been a number of issues my last doctor overlooked. He repeatedly stressed that “we’re a team”, told me I could contact him directly (gave me his cell number), and has built an aggressive game plan for my next cycle. I feel reinvigorated. I feel hopeful. And, for the first time in a long time, I feel like I have a professional who’s got my back. What would you like to encourage other women to be aware of as a result of your struggle? It’s a fine line to walk between reacting emotionally to a negative result, and reacting rationally. IVF robs us of our ability to feel in control, and it’s natural to try and place blame directly on either ourselves or our doctors for a failed cycle. And sometimes, things just fail without a reason – sadly, not everyone who does IVF gets to take home a baby. 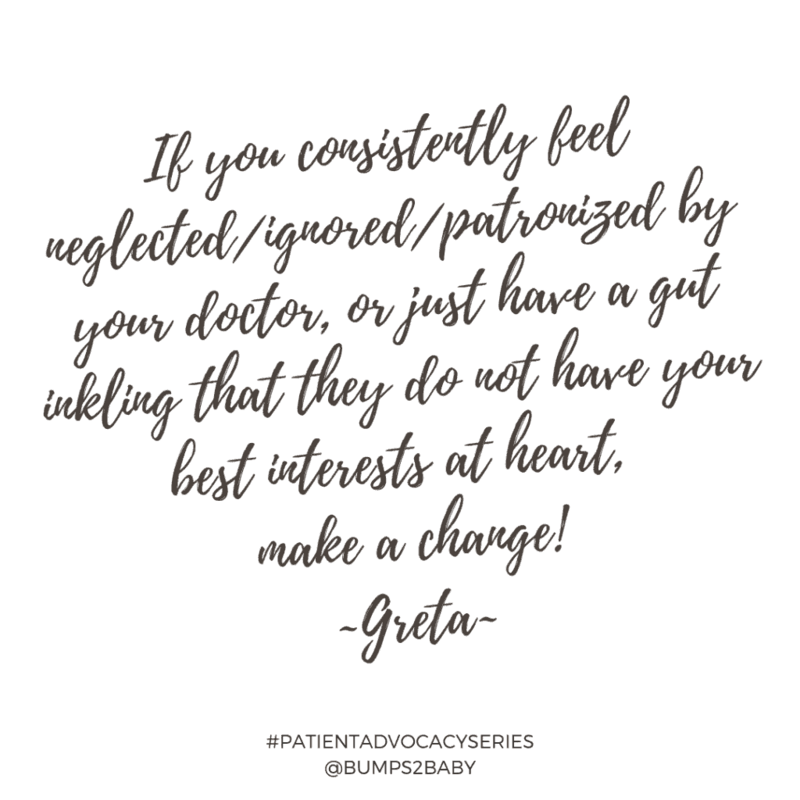 But, if you consistently feel neglected/ignored/patronized by your REI, or just have a gut inkling that they do not have your best interests at heart, make a change. I’m not advocating for regularly doctor-swapping, but if you feel like you’ve given your REI the chance to prove themselves and you’re still not getting what you need, pull the trigger and find someone who can care for you appropriately. I wish someone had told me this! Did you have a quote or inspirational message that helped you find the courage to speak up? If so, would you share that? Honestly, not really – I’m not a spiritual person, I don’t really buy into the idea of a higher power, and I generally find inspirational quotes sort of trite (I know, that’s harsh). I gather my strength from my incredibly supportive friends and husband. 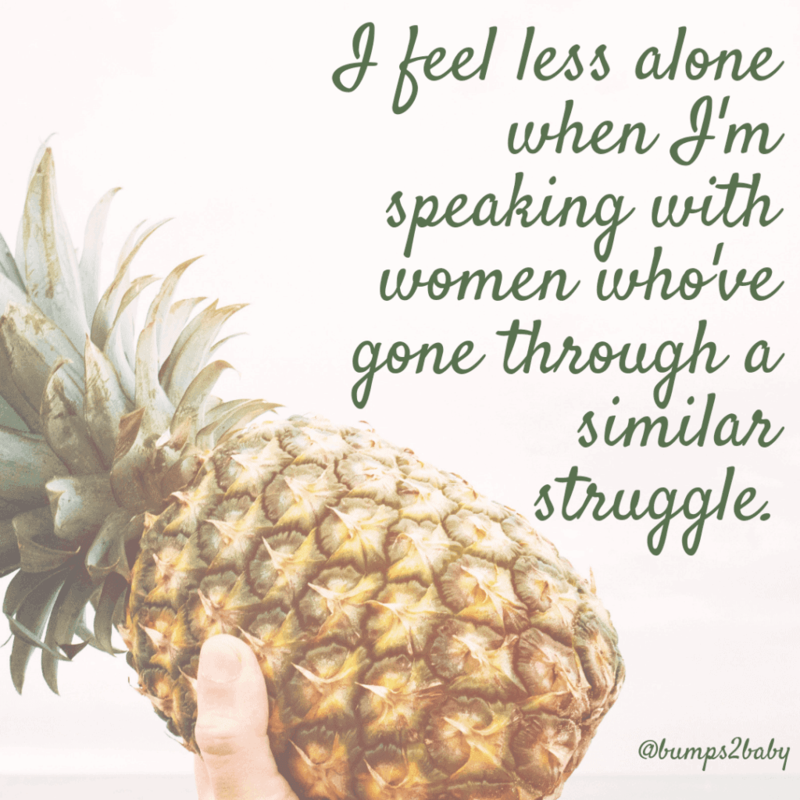 I feel less alone when I’m speaking with other women who’ve gone through a similar reproductive struggle. In fact, the Bumps to Baby invite-only Facebook support group that has been invaluable to me over the last few months! Thank you so much Greta for being so open and advocating for your needs! I hope this inspires even if just one of you to speak up and trust your gut! And remember, there is an army of women out there ready to help ease your anxiety and help you through this season of life.